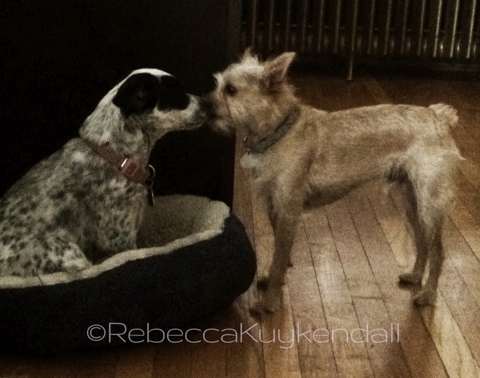 When the new pup, Bandit, arrived in June we weren’t sure what to expect from our terrier, Wolfie. After all, he had been the only dog for his entire almost two years of life, and he was ridiculously spoiled by my husband. To our shock and amazement the two have become inseparable friends. Sometimes I’m allowed to capture the more intimate moments of their friendship.